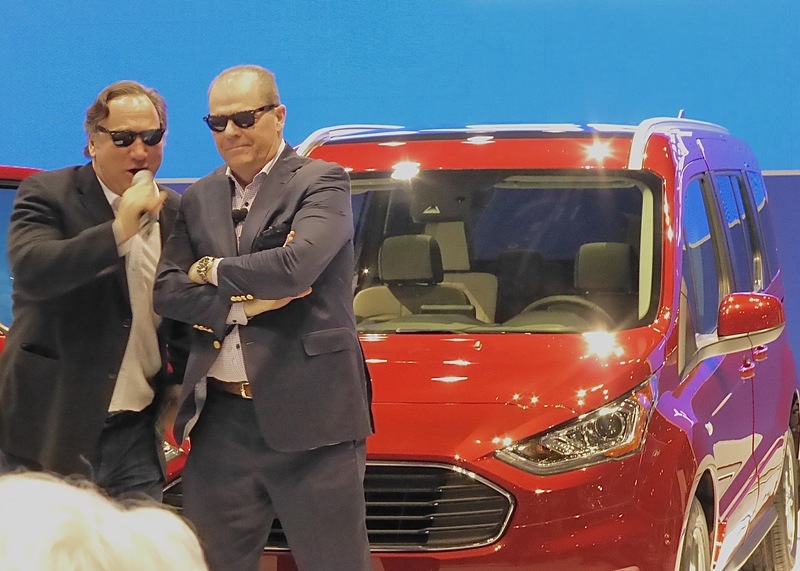 Jim Belushi, left, and Ford VP Mark LaNeve gave Transit Connect Blues Brothers treatment. There was a lot of talk about electric cars, hybrids, and autonomous (self-driving) vehicles, but the Chicago Auto Show best told the story of what car life in the U.S. is all about — trucks, SUVs…and more SUVs. 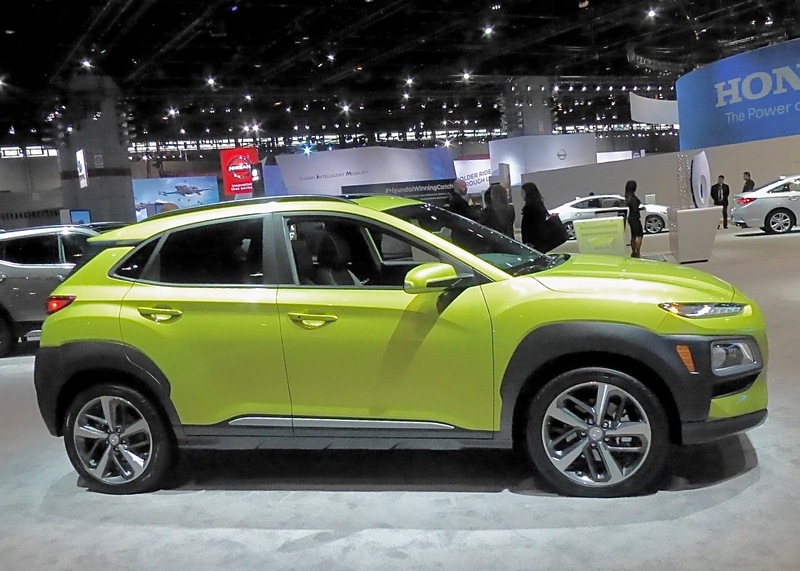 One of the most impressive groups of new vehicles are the many midsize and compact crossovers. 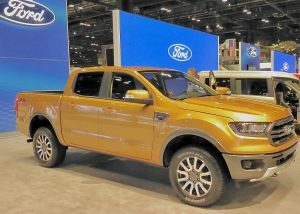 After Toyota got things going with a display of high-performing off-road “TRD” models of its Tacoma and Tundra pickups, and its 4Runner SUV, Ford introduced the new generation of its Transit Connect, a compact, work-oriented mini-truck that fits and maneuvers in tight spaces and can be outfitted however a company or individual may choose. To kick it off, Ford pulled a coup by having vice president Mark LaNeve call Jim Belushi to the stage, and Belushi walked out playing a harmonica and leading everyone in a spirited version of “Sweet Home, Chicago.” He intereviewed some in the audience, joked around with LaNeve, then enlisted him to join him in donning sunglasses to do a little Blues Brothers routine. The versatility of the Transit Connect is that it could be everything from a foot truck, to a construction workers van, to a mini fun wagon, and while it doesn’t come in all-wheel drive, it does have a couple of new engines, including a 2.0-liter direct-injected 4 and a 1.5 -liter EcoBlue diesel engine with a new 8-speed automatic. 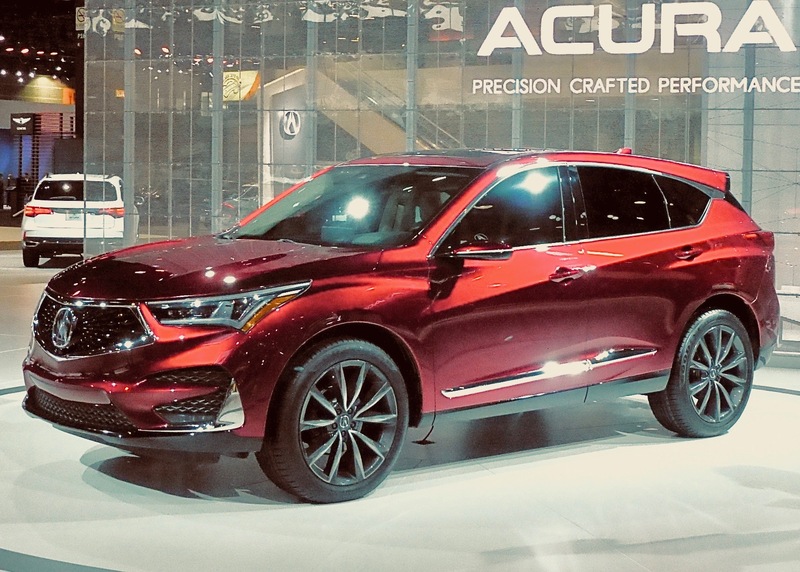 The Chicago Auto Show is the largest and longest-running auto show in the country, and in the opinion of everyone who attends, it also is by far the most fun of the major domestice shows. The lively nightlife scene and legendary restaurants help that reputation. The 110th Chicago Auto Show opened with media days in a nasty blizzard that lasted a day and a half and cancelled 600 flights into and out of O’Hare Airport — and it was still fun. It opened to the public on February 10 and anyone looking for a new car can spend hours examining everything offered in showrooms across the country on the 1,000-square-foot halls in McCormick Place, as it runs through Monday, Feb. 19. Ford never stopped building the Ranger, but this year will reintroduce it to the U.S.
Because it is definitely a consumer-driven show, Chicago provides an ample number of vehicles that appeal to mainstream, grassroots buyers. Its media survey to pick the Family Car of the Year came in with the Honda Odyssey, the latest generation of the popular and feature-filled minivan, which beat out other valid contenders including the Volvo XC-60 SUV, a midsize version of its SUV-of-the-Year XC-90. There were not a lot of new introductions, after most of the debuts were spent on the Los Angeles show in November, and at Detroit in January. But there were definitely still some standouts, for the show, which got a rejuvenated restart in 1950 after the auto industry got rolling again following World War II. With special attractions virtually every day, the Chicago show undoubtedly will be the best-attended show, again. Consumers, of course, care less about the show-biz schemes than about sitting in and scrutinizing the cars. 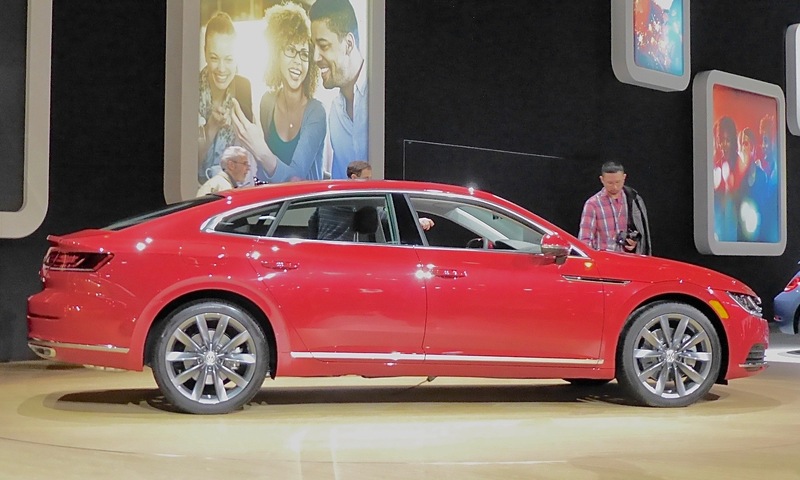 Volkswagen is replacing its sleek CC sedan with a super-sleek new sedan called Arteon. 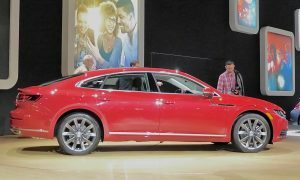 Among the new vehicles being shown are the 2019 Volkswagen Arteon, a sleek sedan with coupe-like lines that VW helped popularize with the CC model, which will be replaced by the Arteon. A new Fiat 500 also was shown, amid an array of cars that leaned toward the exotic sports cars mostly. Hyundai was subtle, showing its just released Veloster sporty coupe, and a new Sonata, which looked a lot like the familiar Sonata, except that it cow comes with hybrid and plug-in hybrid powertrains that get improved fuel economy. The plug-in hybrid Sonata can go 27 miles on pure electric power, and Hyundai, working with fellow-South Korea electronics giant LG, offers a lifetime warranty on the electrical stuff. Polaris displayed its new Slingshot, an intriguing roadster that seems to be the offspring of snowmobiles, ATVs and motorcycles, all of which Polaris builds. It has two wheels up front and retains its low attitude to the narrowed single-wheel rear. As the storm outside was on its way to dropping a dozen inches of snow on the Chicago area, the Slingshot lost a little of its fair-weather appeal. Dazzling colors are another huge attraction at the show. 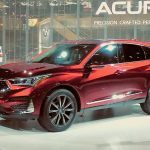 Acura introduced its new-generation RDX painted a sultry dark metallic red, which allowed its many curvatures to catch every shred of light in the area. That color will be exclusive to the RDX, at least for the first year. Unique paint is justs one feature of the redesigned Acura RDX. 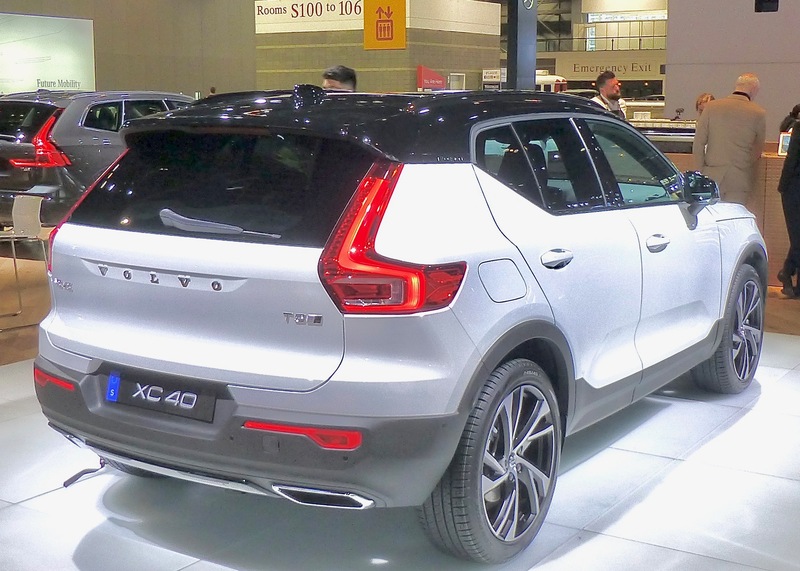 Volvo’s stunning XC-90 and XC-60 SUVs are now joined by the compact XC-40. The RDX was one of many midsize SUVs to capture the mood of what has become the largest single segment in the industry. Even smaller were a couple of others. At Hyundai, where the Santa Fe, Santa Fe Sport, and Tucson are stalwarts, the new Kona was displayed. It is smaller and could be a huge hit for the company once released. Nissan, which also has an array of SUVs big enough for its own show, had a climate-ready Snow Patrol concept of its largest Armada SUV. 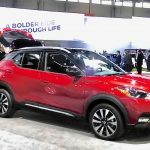 Moving around the display, you could find the Murano, the Pathfinder, and the Rogue, as well as the downsized Rogue Sport, which is a condensed version of the Rogue itself. 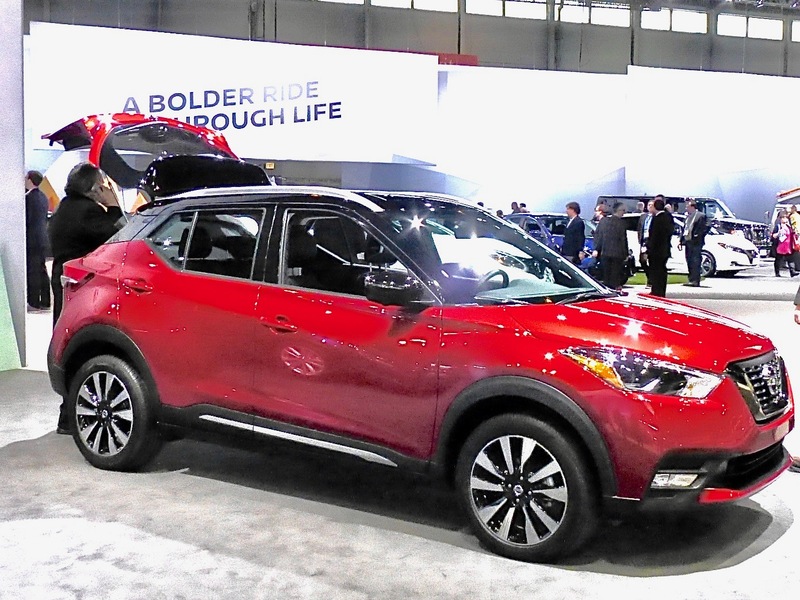 Then there was something new — the Kicks, an interestingly named new compact SUV smaller than the Rogue Sport. 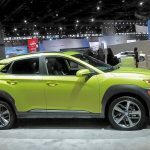 Hyundai offers the Kona, more compact than the Tucson. The good news about such vehicles is that they can run easily at highway speeds and as a small-family hauler and still get outstanding fuel economy, while coming in somewhere between $20,000 and $30,000. 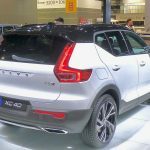 Another highlight is the Volvo XC-40, the smaller model of the line that includes the larger XC-90 and midsize XC-60, both of which have met with great popularity since their recent introductions. Installing all the amazing creature features of the larger SUVs into the smaller XC-40 is no small task, you should pardon the expression, but makes the mid-$30,000 smallest model a sure hit. The Land Rover Discovery has matured from being the company’s entry-level vehicle to a sophisticated compact SUV that appears ready to fulfill the company’s reputation for going anywhere, on or off road. Subaru is celebrating its 50th anniversary of selling cars in the U.S. with special edition trim on almost everything in its line of predominately all-wheel-drive compacts. Mercedes has an ever-expanding portfolio, too, with something for every price range and impressive utility vehicles that run from turbo 4-cylinder models to V6 and V8 machines, topped off by the ubiquitous AMG treatment to extract more speed and more power. Audi and BMW have maintained their spots in offering new sedans and also numerous utility vehicles to cover every price range and size need. Jaguar also is expanding its presence in the utility field, with several new vehicles that put Jaguar-built engines to good use, even if you don’t stay on the smooth highways. There also is some interesting technology, such as the new Nissan-Infiniti variable compression engines, which will be coming out in the new Infiniti Q50 first of all, but will expand as their performance tales become known. The engine doesn’t bother with varying the valve timing of its engines — something it’s already done on its other engines — but actually has the mechanical technique to alter the actual compression of the engine to control the engines. Across the display there also is the 370Zki concept sports car. Lexus LF-1 Limitless attracted maximum attention as an SUV concept. Toyota had more than its TRD trucks, especially at the Lexus display, where it has a stunning blue sports coupe that is such a vibrant color the car has been named after it — the LC Structural Blue. 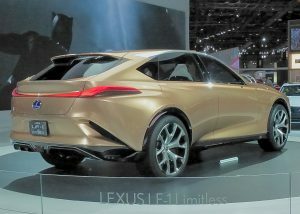 It makes a high-tech partner to the LF-1 Limitless concept SUV-wagon, which is a major attraction. Actually, there are so many flashy Lexus vehicles on display, that a lot of people just seemed to walk by, past the Limitless. Battling the blizzard and cold temperature did restrict some of the partying after a long day or two at the show. We still found our way to Gino’s East, for the best deep-dish pizza I’ve ever eaten, as part of the Mazda connection with the gathered media. The crust, for the uninitiated, is made of corn meal, with a gritty, flavorful impact that made me realize I would order a pizza there — at the only place I eat deep-dish — even if they put no cheese, sauce, meats, veggies or other ingredients on it. Just me and the crust. Of course, I also mentioned that the Chicago show is so low-key and relaxed that if they ever decided to hold the show and didn’t fill McCormick Place with cars, the media probably would still come, just because it’s Chicago, with its good blues, good foods, and good times. And if you happen to get snowed in…well, you couldn’t pick a better city where you might get snowed in.